JEE Main 2015 Forms are out - Hurry Apply Soon! 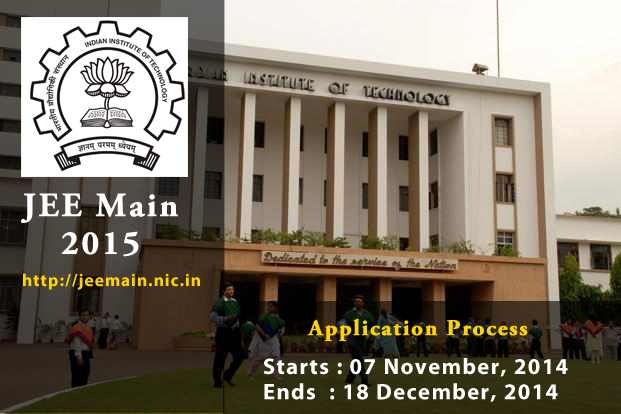 Application process for JEE Mains 2015 has now started. Students seeking admission in top engineering colleges like IITs, NITs, IIITs and other prestigious institutes of the country should fill up this form. JEE Mains 2015 online exam: 10th April, 2015 and 11th April, 2015. Students will be required to clear the JEE Main exam in order to sit for the JEE Advanced exam to get admissions in to the IITs. Join more than 1 lakh students in preparing for JEE Mains in 2015 on simplylearnt.com.